This passage jumped out at The Fact Checker: Hey, we’ve fact-checked this before. But sometimes a refresher course is in order. Was it a “long-standing requirement” for home state senators to be consulted about judicial nominations? Schumer’s article specifically mentioned circuit court nominees, but the “blue-slip” tradition also has extended to district court nominations. Essentially it works like this: Once the president submits a judicial nomination to the Senate, the chairman of the Senate Judiciary Committee sends a blue-colored form (or “blue slip”) to both senators from the nominee’s home state. Those senators have the option of returning the blue slip with a positive or negative response; they may also choose to withhold the blue slip. A positive response means “all good” and a negative or withheld blue slip means there’s an objection. According to a 2017 report from the Congressional Research Service (CRS), the blue slip surfaced more than 100 years ago, in 1917, but different chairmen of the Judiciary Committee have had different blue-slip policies. Not all of them used the same framework as Leahy. That changed in 1956, when Sen. James Eastland, a Mississippi Democrat, took over as chairman of the Judiciary Committee and required two positive blue slips for all judicial nominees. Eastland ran the committee for nearly two decades, from 1956 to 1978. “The policy was that if a Senator either returned a negative blue slip or failed to return one at all, the committee would stop all action on a nominee,” said an earlier CRS report on blue slips. Eastland was a strict segregationist who fiercely opposed civil rights laws and who, according to former Lyndon Johnson aide Joseph A. Califano Jr., demanded that presidents nominate segregationist federal judges in their states. Eastland apparently never explained why he instituted a strict blue-slip policy. But in the wake of the Supreme Court’s 1954 ruling in Brown v. Board of Education, which left the pace of integration in the hands of district courts, opponents of civil rights now had a tool to slow progress down. But Eastland and Leahy appear to be the only two chairmen who have required two positive blue slips, according to the CRS report. No Republicans, and no other Democrats, have followed suit. We won’t bog you down with the details but most chairmen allowed consideration of nominees with a negative or unreturned blue slip, though they gave some weight to a senator’s opposition to a nominee. Still, a negative blue slip was often a drag on a nomination. Schumer’s office sent a list of only five instances between 1936 and 1989 in which a judicial nominee was approved despite getting a negative blue slip from a home-state senator. CRS noted that of the 20 known nominees during the Obama presidency who experienced blue slip issues, only two were eventually confirmed after the home-state nominees withdrew their objections. The other 18 nominees were not confirmed. Schumer’s office acknowledged that “long-standing requirement” in the article should have been written as “practice” or “tradition.” But the office argued that the Republican majority has smashed through that tradition by allowing consideration of judges for circuit courts even though they had received negative blue slips from both home state senators. “The decision of the Republican majority to not honor the blue slips tradition/principle is a clear decline in the Senate’s traditional respect for minority rights,” a statement from the office said. 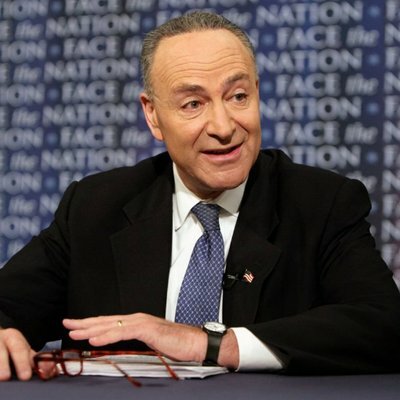 Schumer goes too far to describe the “blue-slip” practice as a “long-standing requirement” that goes back “generations.” In the past 100 years, a strict blue-slip policy existed for just 32 years, under two different committee chairmen. The 17 other chairmen in that period had their own rules. It’s especially interesting that the most extreme version of the blue slip rule appears to have segregationist roots. Schumer’s staff now says that “requirement” should have been written as “tradition” or “practice.” This was a written article that presumably was the subject of scrutiny before it was published. So this cannot be considered a slip of the tongue, especially since “requirement” was used twice. 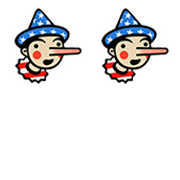 We had previously fact-checked a different statement on this issue by Sen. Dianne Feinstein, awarding Two Pinocchios. We considered whether Schumer’s language about a “requirement” should merit a Three but will keep it at Two, given that at the circuit level, two negative blue slips are no longer a bar to consideration. Mitch McConnell "ordered the Republican Judiciary Committee Chairman to do away with the long-standing requirement that senators be consulted about circuit court judicial nominees in their home states."